An exquisite three stone diamond ring set in platinum. c. 1920's. 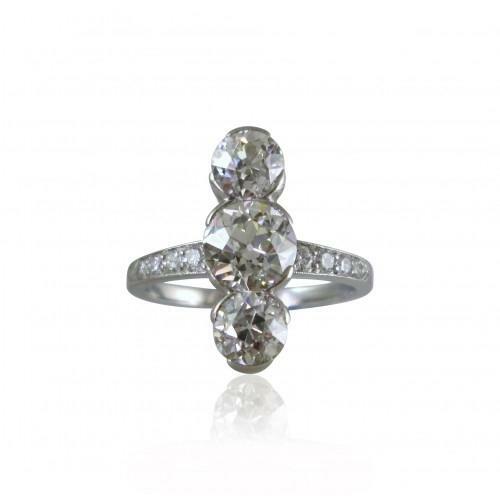 Set with old European cut diamonds, the centre stone approx 0.90 carats and the smaller diamonds approx 0.40 carats each. Small diamonds set to the setting and shoulders, all in perfect condition.